As one of the most recognized and unique tea experiences in the market, Tea Forté had fallen behind its own motto of avant-garde design and modern look and feel. They felt their conversions and overall sales were being affected and wanted to modernize their e-shop. 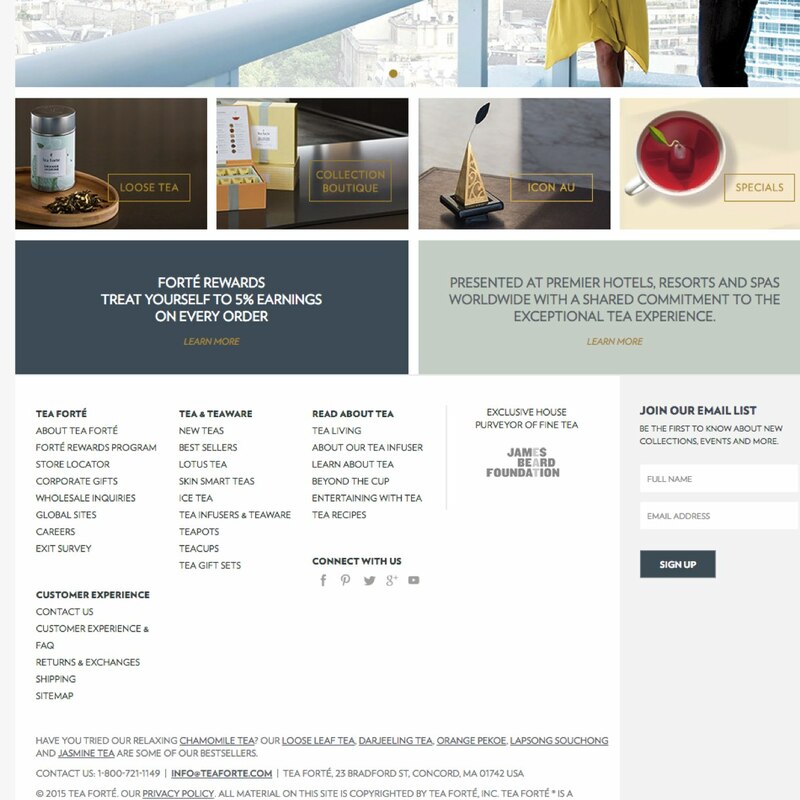 They tasked Micstura to help them update Teaforte.com’s user experience, update its interface design, all while maintaining its legacy systems. Tea Forté’s digital brand presence in 2016 and prior. Following our process, we jumped head first into finding out everything available about the Tea Forté customer from existing data and shopping patterns. We then moved into conducting in-depth interviews with key stakeholders and customers. We second the effort by running a specific survey to mid-to-top customers for TeaForte.com. What we found was nothing short of eye-opening data that helped shape, not only the new web presence, but the way Tea Forté conducts business today. Tea is a powerful tool to decompress... but consumers take pride in the health benefits as well. Tea drinkers tend to be ex-coffee drinkers. With the target demographic better defined, we proceeded to create a plan that would allow Tea Forté to grow exponentially while speaking to their customers at a personal level. Our goals focused around growing our social media presence and to create ongoing digital campaigns that provided a positive ROI. Increase in sales through the use shoppable tags. 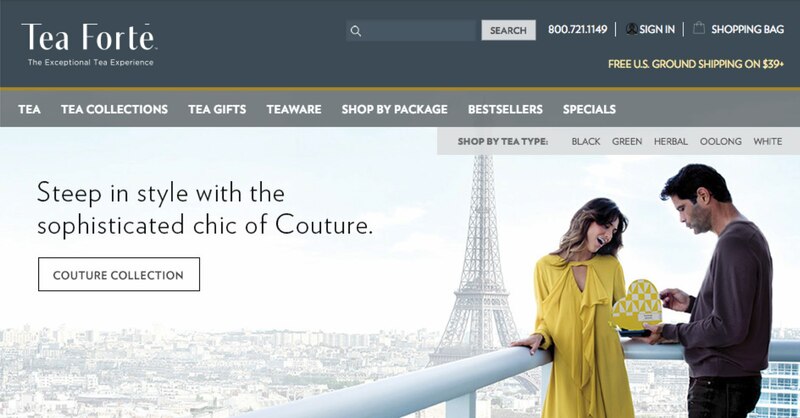 A first in the CPG category, Tea Forte, with our help, was able to gain access to one of the most saught after features of Instagram, shoppable tags.